← Baltimore Screening Pass-palooza: “The Book of Henry”! Baltimore Screening Pass-palooza: “47 Meters Down”! Ready for the beach? Got all that Jaws, Sharknado, Deep Blue Sea and The Shallows outta ya? Well get ready to spend even more time out of the water, because I’ve got passes for the Baltimore area screening of 47 Meters Down. Synopsis! What: ADMIT TWO passes for the Baltimore area screening of 47 Meters Down! This entry was posted in Free Screenings and tagged Free Screenings, Shark In Water movies. Bookmark the permalink. 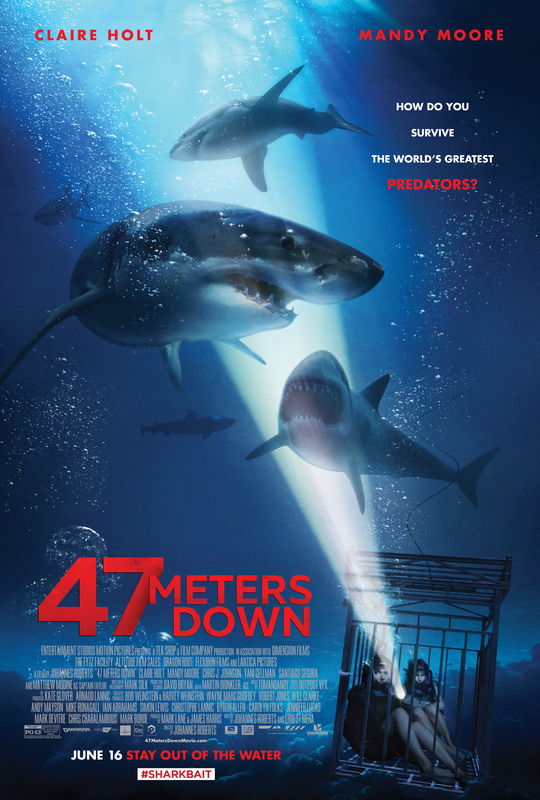 1 Response to Baltimore Screening Pass-palooza: “47 Meters Down”!